Happy Independence Day, courtesy of two children of immigrants. What Makes an “American Composer”? 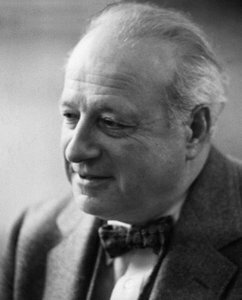 I was just researching an orchestral piece by Walter Piston and wondering why his music is hardly ever programmed nowadays. In the mid- twentieth century he was all over the place, winning TWO Pulitzers and getting prestigious commissions year after year from the Boston Symphony. Merely an adept player at musical politics? In the 1930s, Copland, six years younger than the New England-born and -bred Piston, listed a sort of posse of prominent American composers that (along with himself) included Piston, Virgil Thomson, Roy Harris, and Roger Sessions. (Thomson apparently liked to refer to this as Copland’s “commando unit.”) Yet of this bunch (“Les Six” made such bands fashionable at the time), it’s really only Copland who gets heard with any frequency today. Copland and I had a friendly war about American music. Aaron and I were very thick. We practically grew up together. He had hopes of producing an American music that was just as recognizable as French and German music. I told him that America had so many different nationalities that it would be nearly impossible, I felt that the only definition of American music was that written by an American. He had to agree, but he felt there ought to be a vernacular. Piston certainly left an indelible mark through the students he influenced during more than three decades teaching at Harvard: the likes of Leonard Bernstein, Elliott Carter, John Harbison, etc. (not to mention his many-times-reprinted textbooks on theory and orchestration). 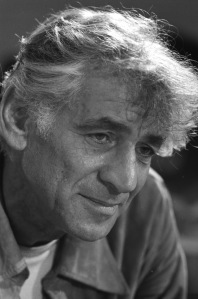 The “curse” of being Leonard Bernstein — of having to cope with too many talents and corresponding passions within a 24-hour day — is usually talked about as too-muchness on the macro level: Lenny the composer, say, becoming frustrated by the energy he had to siphon off into conducting gigs, ditto for Lenny the pianist, Lenny the teacher, etc. Sometimes what’s shuffled into the Lenny-the-composer persona is broken down into the rubrics of “classical” versus Broadway undertakings. But it’s remarkable how many subcategories can be teased out here. For instance: chamber music. While recently working on a piece about some of the early chamber works, I realized these comprise an entire subset of their own of unfulfilled potential, since, for the most part – and for obvious practical reasons – Bernstein pretty much abandoned writing chamber music despite the incredible promise shown by some of his earliest pieces. 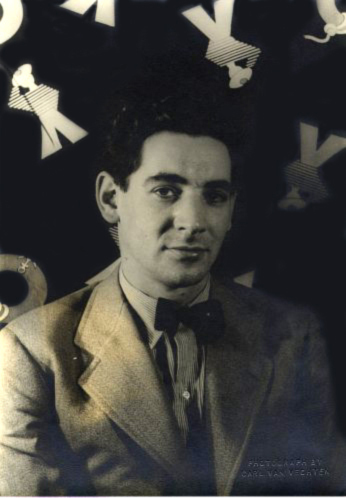 There’s a lone Sonata for Violin and Piano, from 1939, the year Bernstein graduated from Harvard – though the Sonata for Clarinet has also been reworked as a violin sonata. Written for a young Raphael Hillyer (future co-founder of the Juilliard Quartet), this piece also demonstrates Bernstein’s flair for abstract chamber writing, but he also made use of some of the ideas here in the ballet score Facsimile and the Age of Anxiety Symphony. An even earlier treasure is the Piano Trio from 1937, also a product of his undergraduate years at Harvard. Already Bernstein shows his natural gift for absorbing a multitude of influences and turning them into something fresh. Notice the intriguing inclusion of then-fashionable Neoclassicism alongside the blues touch of the middle movement (later recycled as the tune “Gabey’s Comin'” in On the Town). “I have a suspicion that every work I write, for whatever medium, is really theatre music in some way” — L. Bernstein in his prefatory note to his Symphony No. 2 (The Age of Anxiety).